A White House, Tennessee teen, Morgan Pentecost, has had her Facebook photos hijacked and put on nearly a dozen clone pages since she was 15 years old. Her family has filed reports with both the local police department and Facebook itself, but the deluge of fake profiles continues. “Anybody can portray her. It’s extremely concerning,” said Karen Pentecost, the girl’s mother. When the family first reported the hoax to police, they investigated it and traced one of the accounts to a 14-year-old girl in Georgia who wasn’t doing anything illegal. A district attorney in Tennessee also said that the fake pages weren’t illegal because they don’t qualify as either identity theft or stalking. In order to be identity theft, Pentecost’s image would need to be used for monetary gain, and in order to be stalking, she would have to be contacted repeatedly. Neither has happened, and thus the law’s hands are tied. The motivations behind these cloned Facebook profiles is unclear, and they can frequently be difficult to remove. In one recent case, a Facebook user who found an imposter profile realized that a loophole in Facebook’s settings didn’t allow him to report the fake at all. When there is no clear financial motivation in the case, many experts speculate that these fake profiles are a form of personal revenge, but by whom, and for what purpose? It’s just another eerie side effect of our highly accessible digital age. 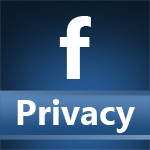 Be sure to see our related blog post: Fake Facebook Profiles and Pages – the Tools of Scammers, Bullies and Thieves.